Heat 2 tbsp oil in a pan and add capsicums and onion and saute for 1 minute and keep aside. Add remaining oil in same pan and add ginger,garlic and green chillies and cook it for 1 minute then add roasted and crushed coriander,red chilli flakes and stir it for 1 minute. 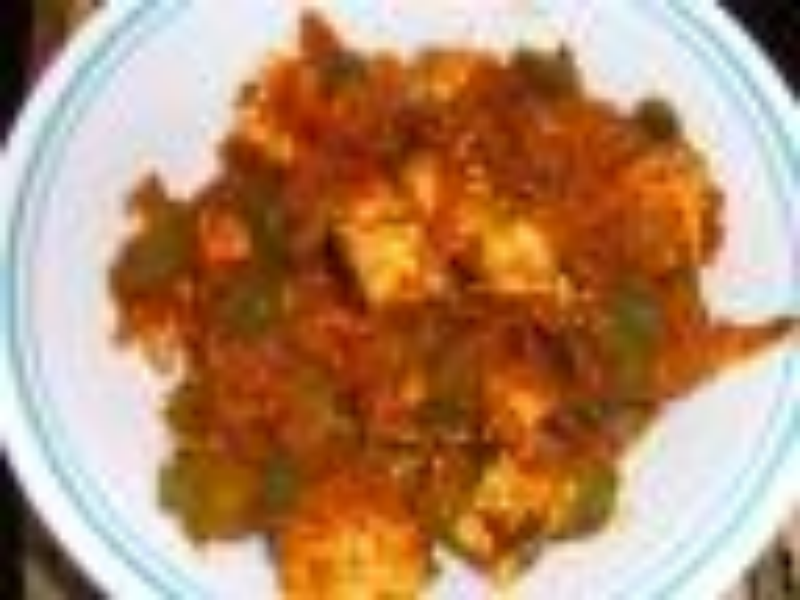 Now add tomatoes and cook when oil separates and tomatoes are tender then add salt,capsicums,onion,cottage cheese (paneer) and dried fenugreek leaves and let it cook for 3-4 minutes. Sprinkle green coriander and serve it with chapatis or naan.